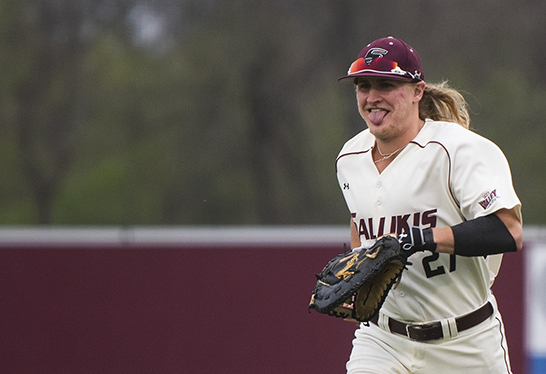 If you need an outfielder, junior Greg Lambert is your man. 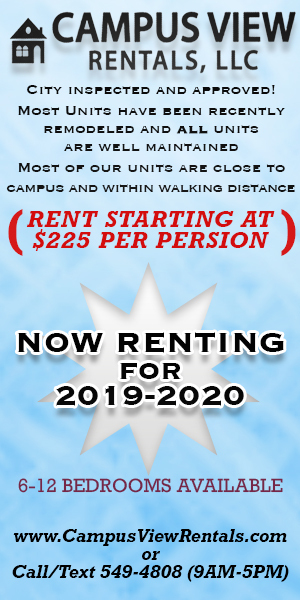 Need an infielder, he can man the corners and up-the-middle too. 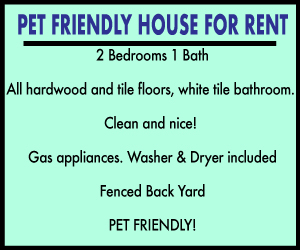 He will even put on the gear and get behind the plate, and would love the chance to pitch a few innings for your team. On top of all that, he can flat out hit. Lambert hails from Athens, Alabama. He grew up loving the outdoors, fishing whenever he got the chance and learning to shoot at the age of 3 so he could hunt with his father. He also credits his father with getting him started with baseball, and staying involved throughout his early years on the field. 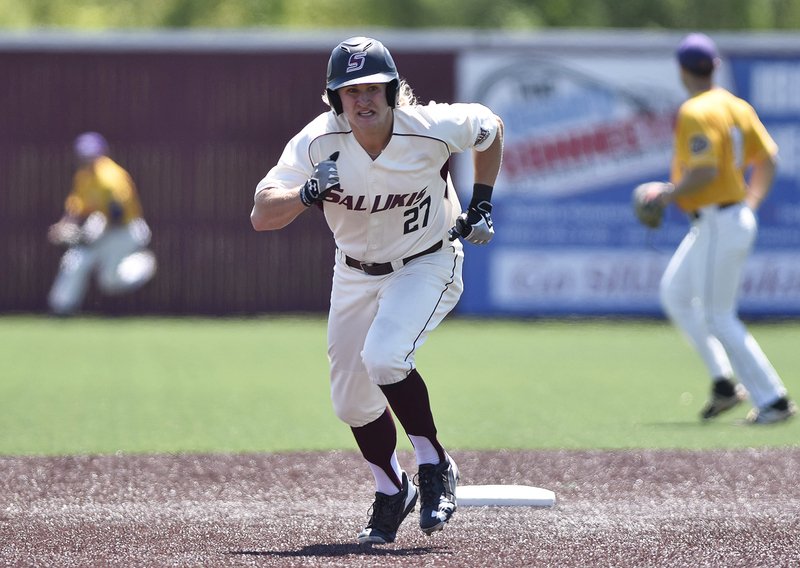 The Saluki outfielder said he tried other sports while growing up, but they did not compare to baseball. Lambert attended Madison Academy in Madison, Alabama. He started on the varsity squad as a sophomore, and played every position but first base and center field through his high school career. 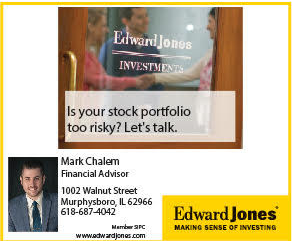 He also played for the prestigious Nashville Knights traveling baseball team in the off-season throughout high school, driving an hour and a half one way to get to his home field. Lambert was ranked first overall third baseman in Alabama and 89th nationally by Perfect Game out of high school. Colleges took notice of his talents, and made visits to see him play. 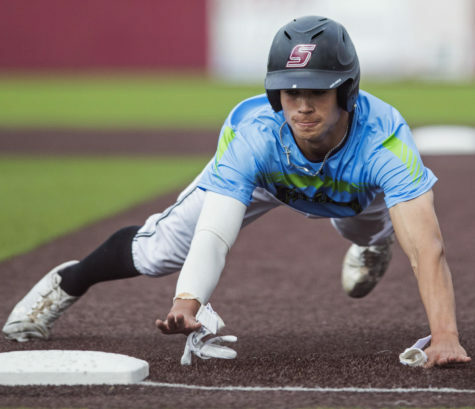 After making official visits to six or seven colleges, Lambert committed to SIU in the fall of his senior year. 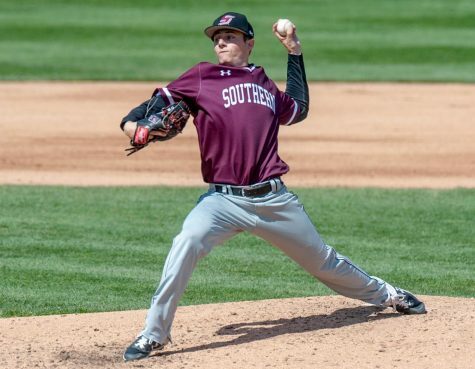 He also credits having the chance to compete for a starting position his freshman year at SIU as “a big decision-maker” in his choice to sign with the Salukis. 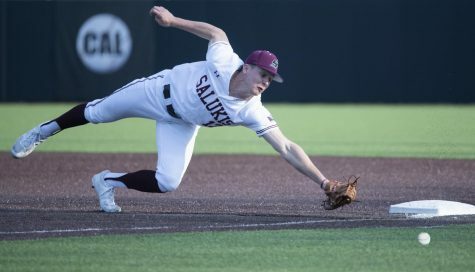 In his freshman season, Lambert succeeded in earning a starting spot on the team, playing primarily at first and third base. He said he learned a lot from his first season in college about the game, and not-so-comically a little about his eyesight. 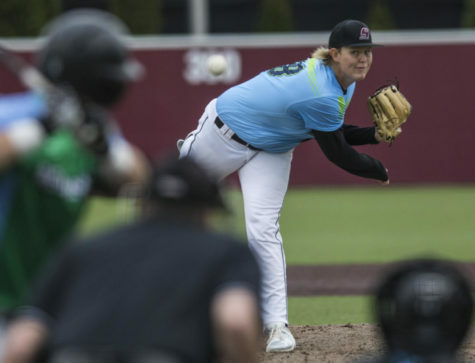 Once he got his prescription figured out, hitting coach Ryan Strain signed Lambert and catcher Nick Hutchins up for a team in the college-level summer Valley League. 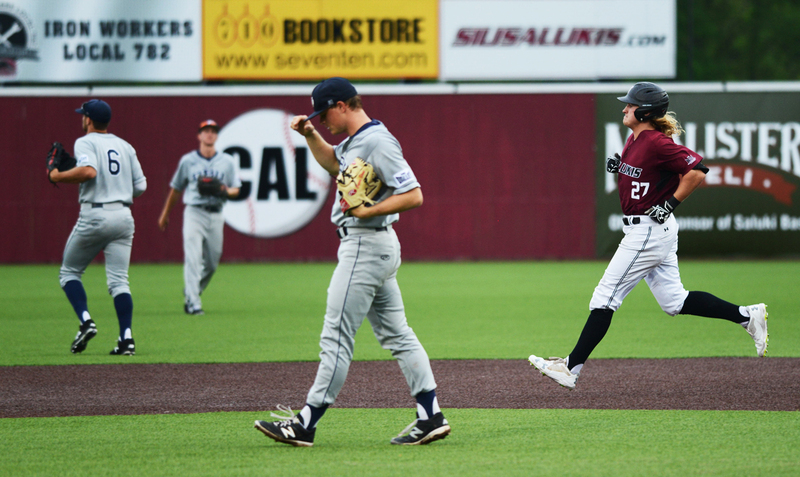 The Saluki outfielder credits the league with preparing him for his sophomore season. 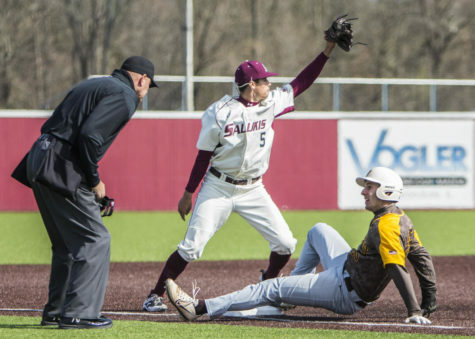 In his sophomore season with SIU, Lambert was moved out of the infield, playing 56 of the season’s 57 games as an outfielder. Most of those games were in left field. 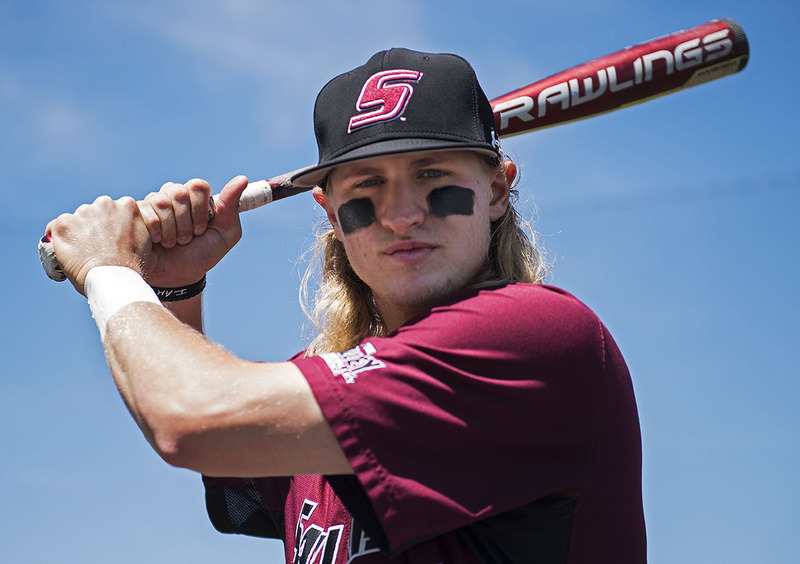 The summer following his sophomore year Lambert chose to sign with the Willmar Stingers of the Northwoods League, where he recorded a league-high 66 RBI’s while batting .330 to earn the Big Stick Award as the most productive first baseman in the league as well as an All-Star nod. Lambert has played in all 41 games this season, mostly in the outfield and recently at first base. 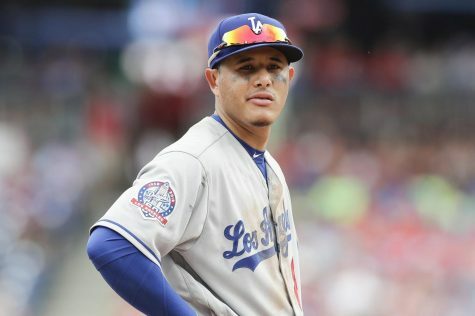 He is leading the team in home runs, doubles, hits, RBI’s, total bases and slugging percentage — all the while batting a robust .331. With Lambert having a career year this season, professional scouts are taking notice. He said he has been in contact with several MLB teams to fill out questionnaires for them ahead of the 2017 MLB June Amateur Draft. When asked if the ensuing draft is on his mind this season, Lambert said it is not his biggest worry. 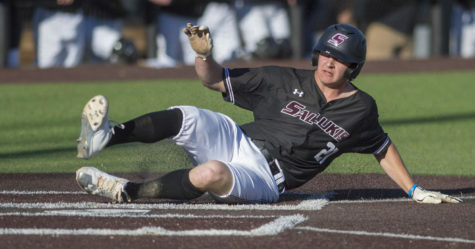 The Saluki outfielder also said he does not know whether he will stay at SIU or enter the professional ranks if he is drafted. Lambert, who studies business management, said he wants to remain in baseball for the foreseeable future, in any capacity possible. 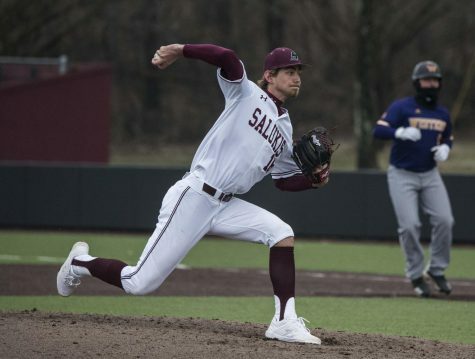 There is one thing Lambert wants to accomplish before he moves on from his days at SIU — he wants to pitch. 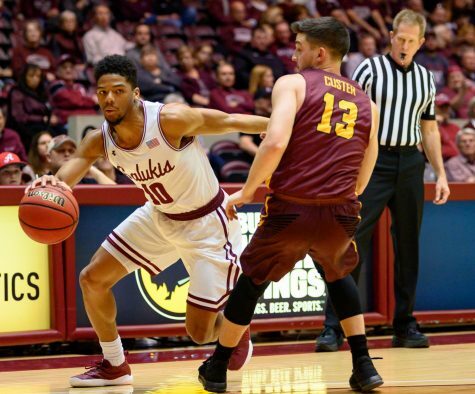 For now, Lambert said he is focused on this season as the Salukis strive for the Missouri Valley Conference Championship and beyond.